A pair of neon blue and green sneakers stood out through the three-quarters shaded glass outer door of ZenoRadio’s office, belying the personality of their yet unknown wearer. An actor was about to take the stage. Without missing a beat, Baruch Herzfeld briskly entered the office and shook my hand as he walked past me, asking me if I’d ever seen a crew as happy to be working as his. After walking me through ZenoRadio’s tiny headquarters – all while detailing, rapid fire, the responsibilities of his team. He stopped to fix himself a cup of coffee, asking me where I was from. This dovetailed into a conversation on the Bronx and its shifting ethnic communities, highlighting an expertise he’s been developing throughout his largely improvised career of perfecting the art of trial and error — though he might not want to call any of it a career. While Herzfeld has over a decade of experience in telecommunications, ZenoRadio has proven to be his most influential experiment yet. After establishing an indoor trailer park for working-class Brooklynites and a religious ‘contraband’ bike shop for Hasidim in Williamsburg – the exploits of which are not only chronicled in a documentary, but in a play as well — his latest venture only served to further his off-kilter brand of community service: he’s currently coordinating a network of international radio stations that are streaming to New York City’s myriad ethnic communities through their cellphones. It also delivers the spirited, makeshift entrepreneur the largest audience he’s ever had to please. 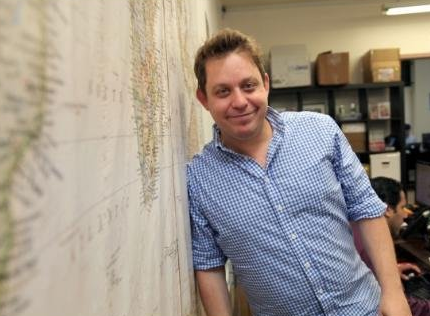 Reaching out to New York City’s vast immigrant constituency (roughly 40% of the city’s population) has Herzfeld and his team constantly reconnecting broadcasters worldwide – from Ghana to Bangladesh — to their fans stateside, all while finding new ways to subsidize ZenoRadio as it evolves. Herzfeld also saw the immigrant plight of a harsh urban life far from home as an opportunity to make something better for them. “The guys who used [a] phone card – taxi drivers, security guards – all day they have a job where they’re solitary. Even if they’re meeting people, they’re not forming connections; the connections are peripheral. They need the radio to get them through the day to prevent loneliness.” As technology swiftly modernized beyond many working-class immigrants’ means, ZenoRadio’s true success came from more than the superficial functions of the tax loophole Herzfeld used to initially fund his platform, which he likens to a massive conference call. 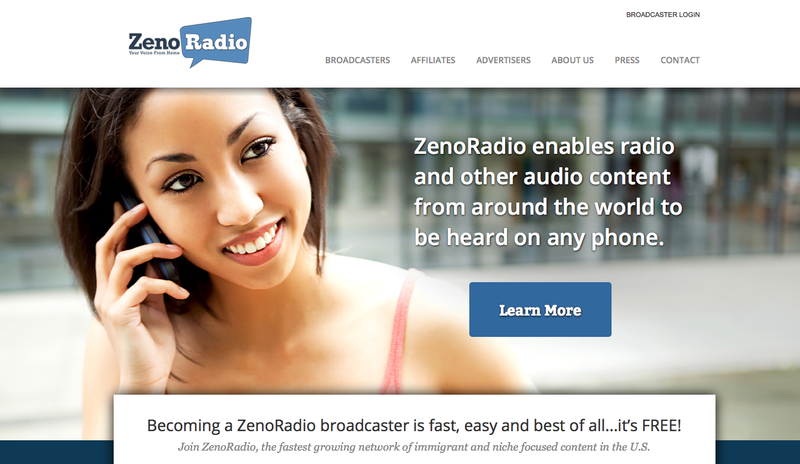 Users dial a dummy phone number to connect to ZenoRadio, which then links them to the radio station of their choosing at no extra charge to their cellphone bill or data plan. While a streaming service focused around dial-up may seem primitive in today’s marketplace, ZenoRadio has continued to thrive through sheer audience traction, which helps Herzfeld and this team develop more sustainable ways to grow its services. The network’s developments include a customer targeting ad system that tracks metrics and relays relevant messages to appropriate callers — a thoroughly Internet-era tactic applied to old media. While finding new revenue streams has allowed ZenoRadio to grow, Herzfeld is also currently coordinating an ad-centric subscription deal with a phone company and has employed international journalists to act as liaisons in recruiting broadcasters and preparing country-specific blotters. Still, his constant challenge remains serving his team and listeners. “We were able to grow off the loophole, but we have to move past it because you can’t be in a business where you’re taking money from somebody without delivering something in return.” Giving back has remained central to most of Herzfeld’s most notable (or notorious) endeavors, including his Bushwick-based trailer park alternative to inflated Williamsburg real estate prices. But what became a flourishing commune of artists and post-grads was eventually nixed by authorities. “The cops shut it down. They made a law against me. They always make a law against me, those bastards!” While ZenoRadio has been blocked by companies like MetroPCS, Herzfeld is adamant about buffering his listeners from the false promises of unlimited data and other predatory plans that often tempt foreign-born newcomers. Even as ZenoRadio continues to seek new partners within the cellphone business, he’s adamant on maintaining the flat rates his audience already pays for basic phone service, admiring how hard they already work to keep New York City running. “This is New York! New York isn’t designer dogs. New York isn’t fancy pants… less than 1 percent wears fancy pants. New York is immigrants who do service jobs,” he said. As ZenoRadio changes to satisfy those ambitions, Herzfeld has become indebted to another group: his teammates. Removed from bikes and communes, Herzfeld is learning how to become the best boss he can be in the office space. “You have to be humble. You have to take criticism. You have to assume that people will agree with you, even if you’re wrong. You have to show respect. You have to motivate them to do the best job possible.